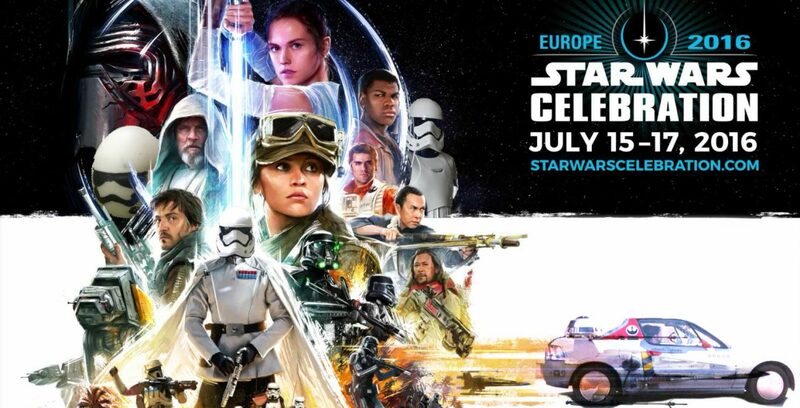 Now that it’s July, we’re just two weeks away from Star Wars Celebration, and what will surely be a Rogue One extravaganza! If you can’t wait that long, Stormtrooper Larry interviewed a former film crew member during Rogue One’s initial production last year. Our low-level source, whom we’ll call “Monty” is low enough in the production hierarchy that he can’t offer any plot leaks or earth-shattering revelations. However, what Monty provides is a fascinating behind-the-scenes look at what filming the movie was like. What exactly did you do in Rogue One? I can’t be more specific, but let’s just say I worked under the Director of Photography. When did you sign on? I signed the contract first quarter last year. To get us hyped up for the shoot, they showed a short pre-production clip. It was a slow pan of a green planet, then a TIE fighter entered the frame. As the camera followed the fighter soaring over the planet, the view swiveled up to show the Death Star in the distance! We understand you can’t tell us any leaks or spoilers about Rogue One. Yes. When you sign on, there’s a thick Non-Disclosure binder. It basically says to keep mum about the whole project for four years, or else Lucasfilm and Lunak (Heavy Industries Ltd, the production name behind Rogue One) can take legal action against you. Even after filming has wrapped up. Without spoiling anything, can you share a memorable scene from production? You know how the prequels got a lot of flak for being full of green-screen? Well in Rogue One it’s really old school. We built a giant sandbox in the backlot (of Pinewood Studios in the UK, where Rogue One was filmed). All I can say is it’s a beach scene. The actual “sea” part of the beach was shot elsewhere, but the rest of the footage, including a coastal battle, was shot in a heavily cordoned area in Buckinghamshire. We even had to wait for the perfect weather to film that scene. It’s going to be incredible on the big screen. We also marry practical effects with CGI. For example, there’s a scene that takes place in a rundown urban setting. Think Baghdad or Syria. Instead of using a chroma key backdrop (green screen), we actually built physical store fronts and staged real explosions. The CGI part comes from the units taking part in the battle. I believe combining old-school props with digital VFX is the best formula. Instead of staring at a green curtain, the cast interacts with physical props. It immerses them in this galaxy far, far away and enables them to act more convincingly. When the good guys flinch from an explosion, they’re not acting. It’s a real reaction caught on camera. Contrast that with films like The Jungle Book, which was all green screened inside a soundstage. For you, what was the best part of production? Besides being able to put Star Wars on my resume? (Laughs). Well I wasn’t lucky enough to be part of the camera crew that filmed the beach scene on a tropical island abroad. But I did get to visit RAF Cardington (a historic air base in the UK). We turned this giant hangar into a set, and we did so with great care since it was an airship shed with a history dating back to World War I! We even used active service members from the RAF and Army Air Corps as extras. I can’t reveal their roles, let’s just say it was a natural fit for them. And what was the worst part of production, if any? Well we used an IMAX camera, an Arri Alexa 65. It shot tremendously beautiful footage on ultra widescreen 65mm film in 6k resolution. The large format simply blows away 35mm film. However to do that it needed a LOT of light, and it was a massive pain to set up the gobos and stage lights to get the lighting just right. It’s also a fairly new camera with a limited selection of lenses. So if we wanted to zoom in, for example, we had to physically move the unit instead of using a zoom lens. The grips (in charge of the dollies and rigging) and the gaffers (in charge of the lights) really earned their pay. What can you tell us about the reshoots? There’s nothing much to say that hasn’t been said already. Most of the film crew is the same, but they had to look for new extras. That was assigned to Twickenham Film Studios, and they put out a casting call last month. We were able to poach the casting director who did Harry Potter, War Horse and Kingdom of Heaven. Since the reshoots will be in Pinewood, anyone interested to be a “moving prop” should have the legal right to work in the UK. We did have a good laugh when the tabloids said Chris (McQuarrie) was “taking over” the reshoots. There’s such a thing as the Director’s Guild, and one of the basic rules is that there can only be one director per film. There are exceptions when the directors previously worked together like the Wachowski brothers. The Han Solo film belongs in that category since (directors) Phil Lord and Chris Miller co-directed the Lego movie. Do you know anything about Star Wars Episode VIII? Nope, totally different production company and film crew. About the only shared resource we have in common is the physical location, Pinewood Studios, and specialist production outfits like the prop makers. However, the photography crew all winced when we heard their IMAX was damaged during filming in Ireland. If it’s anything like our Alexa unit, it’s going to be rare, expensive and hard to replace, since the cameras are in extremely short supply. What was it like to work with Gareth Edwards? I’m low enough on the menu that I didn’t get to work with him personally. My crew reported to Doug Fraser, the director of photography who also did Zero Dark Thirty. That said, the crews have tremendous respect for Gareth. This is the guy who did Monsters on a tight wallet, with an off-the-shelf Sony EX-3 and a regular Nikon lens. Hell, the rental, transportation and insurance charges of our IMAX camera alone cost more than that movie’s entire budget! Do you have a message for Star Wars fans? Star Wars has the magical ability to transport you to a different galaxy. When you watch Rogue One for the second or third time, look beyond the planets and try to peer behind the scenes. You’ll find that the production process can be even more amazing than the finished film. The good guys are actually operating out of a historic airship hangar used by the RAF, and that tropical planet is actually the concrete backlot of a studio in Iver Heath! “Monty” would like to greet his wife Mrs. M a happy anniversary. “either in the last month or the next two months.” Not because he forgot the exact date, but because he can’t be more specific. Last week, the Atlanta Jewish Film Festival awarded director Lawrence Kasdan with its first ever Icon Award for Contributions to the Cinematic Arts. While most Star Wars fans couldn’t care less, the occasion allowed the Atlanta Business Chronicle to corner Kasdan and interrogate him about Star Wars stuff Bespin-style! The Han Solo film will start shooting in January 2017 in London. Kasdan and his son Jon have finished the story treatment, and the script is now in the hands of the directors Chris Miller and Phil Lord. It’s scheduled for release on May 2018, 7 months before Episode IX. This makes it the only movie in the new franchise to screen outside of December (in contrast to Rogue One, Episode VIII, and Episode IX). Kasdan was originally part of the Episode 7 story group alongside Michael Ardnt, who then backed out due to the time pressure involved. Later, J.J. Abrams took over Episode 7 and Kasdan found himself concentrating on the Han Solo standalone film, while consulting for The Force Awakens. He claims to have little information on the complete story arc of the new trilogy. However, he is friends with Episode VIII director Rian Johnson, and he’s getting to know Episode IX’s director Colin Trevorrow. What the pressure is — you don’t want to disappoint people. That’s all. And you’re hoping in the case of the series that it’s an installment that people like, because there are installments people don’t like. So, you want to rectify that. When asked if he was alluding to the prequels (which he didn’t write), Lawrence Kasdan just laughed politely. Remember, this is the guy who wrote the screenplay for The Empire Strikes Back. For Kasdan, there are no such things as Gungans or little Anis. Disney is on Star Wars overdrive. They’ve established the norm of shooting two films simultaneously, and starting work on the next movie as soon as one is finished. In 2015, Rogue One began shooting just as work on The Force Awakens wound down. And three months before TFA even screened, the crew were back in Skellig Michael start on Episode VIII. Right now, Disney has two films in production: Rogue One and Episode VIII. Right after Rogue One screens in December, work will then shift to Han Solo. So what does this mean for fans? It means that 2017 will be a deluge of Star Wars. First we will have the much-awaited Episode VIII by Christmas next year. Then we’ll see the young Han Solo by summer, barely enough time for the previous film to come out on Blueray. Finally, the biggest mama-jama of all, the trilogy-ending Episode IX, will debut 6 months later. There has never been this much Star Wars stuff. For the original trilogy and the prequels, fans had to wait 3-5 years between each movie. Today, Disney has cut down the waiting time to between 6 months to 1 year. Could this zeal lead us to peak Star Wars and a saturated market? Only time will tell. For true Star Wars however, the more the better. Star Wars: Episode VIII is only halfway through the shoot, and Rogue One won’t be showing for over half a year, but the Star Wars overdrive continues. Today, Disney released the latest regarding the Han Solo standalone movie. Here’s everything we know to date. It’s confirmed: the young Han Solo will be portrayed by Alden Ehrenreich, the 26-year old actor who appeared in the 2016 comedy Hail, Caesar!. Like Harrison Ford, the actor’s path to stardom was unconventional. Whereas Ford was a carpenter discovered by George Lucas, Ehrenreich was spotted by Steven Spielberg from a bar mitzvah video. Ehrenreich certainly has the scruffy look and cheeky grin of the famous smuggler, beating other Han Solo hopefuls like Transformers star Jack Reynor and the Kingsman’s Taron Egerton. Seriously, among the Han Solo hopefuls, he looks the closest right? The film will be directed by Phil Lord and Christoper Miller. The duo was responsible for 21 and 22 Jump Street, and animated movies like Cloudy with a Chance of Meatballs and The Lego Movie. “It’s a huge pressure. We always try and find something that’s gonna make us… give a fire to our bellies and do a really good job. And this feels like there’s a lot of pressure to not screw this up. Disney CEO Bob Iger confirmed that Chewbacca will be present. It will likely explore the backstory behind the Han and Chewie partnership, and how the Wookiee came to owe him a life debt. In the original Expanded Universe, Han freed a Chewie from a slave ship. Then a Lieutenant in the Imperial Navy, Han was ordered by his commanding officer to skin the Wookiee. Rather than obey, he chose to be court-martialed and ended up being a smuggler, with Chewie as his co-pilot and business partner. “One day this slaver was particularly hard on one Wookiee, treating him so badly I couldn’t stand by and watch. I’d heard the phrase, ‘It’s none of your business,’ one too many times, so I took action. My good deed was rewarded. That’s Han’s iconic sidearm. The DL-44 heavy blaster pistol was produced by Blastech Industries and was considered one of the most powerful sidearms in the galaxy. In real-life, it was a modified German Mauser pistol with an attached sniper scope. Whereas Rogue One is being billed as a gritty war movie, the Han Solo film will be entertaining and funny. According to Lucasfilm president Kathleen Kennedy, this is why they chose the Legofilm directors to be in charge of the movie. The film is slated for release on May 25, 2018, 41 years after Han Solo first appeared onscreen in A New Hope. Hungry for more Star Wars movie updates? Read our frame by frame analysis of the Rogue One trailer!